Growing big, beautiful heads of broccoli isn’t always as easy as you may think! 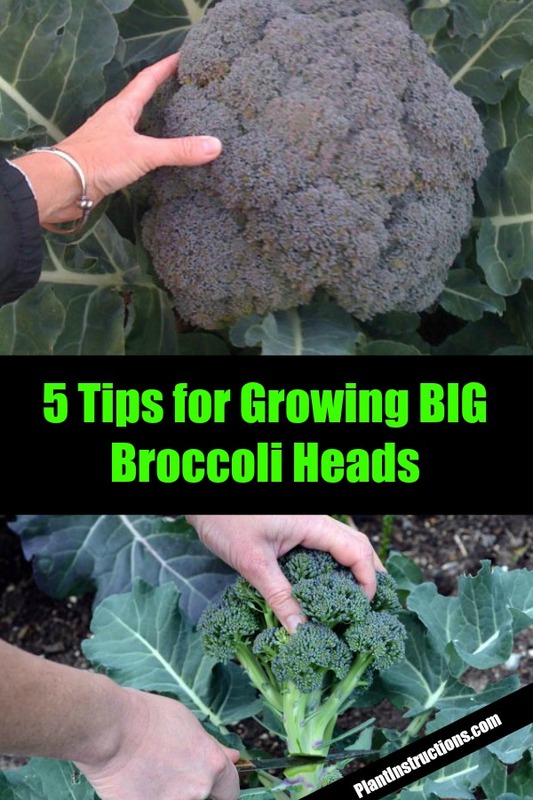 Although broccoli IS easy to grow, getting them to grow big heads isn’t the easiest feat! These 5 broccoli growing tips though will ensure that you get the biggest broccoli heads ever – and we’re not kidding! These tips will tell you exactly when to plant, how to plant, and when to harvest for the best broccoli you’ve ever had! Seedlings should be started inside 4-6 weeks before the last spring frost. Broccoli prefers cooler weather, but not cold weather. In warmer climates, broccoli should be planted mid August to mid September. Transplant once seedlings are about 3 inches tall. 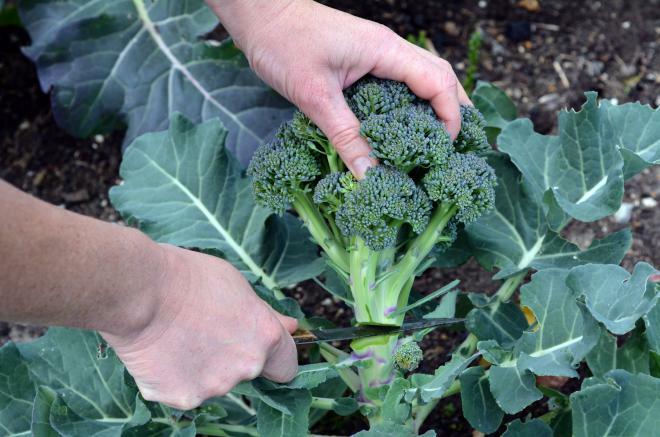 Depending on your climate, there are different varieties of broccoli you can grow. The best thing to do is head to your local nursery and ask a specialist which broccoli type is best grown for your area. What works in one climate will not work as well in another! Like most plants, broccoli has some requirements that really should be met! It prefers a neutral pH (6.5-7.5). If your soil is acidic, add some garden lime or crushed oyster shells to boost pH. Soil temperature should be 60-65F (16-18C). 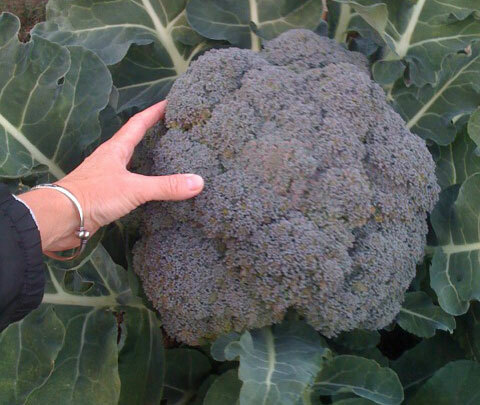 Broccoli also loves rich soil, and especially soil rich in nitrogen so don’t be afraid to feed it often! Space plants 18 inches apart, and plant them in full sun. The more sun, the bigger the heads! Your broccoli absolutely needs 1 to 1.5 inches of water per week. So if it doesn’t rain enough, you’ll need to make sure you water your broccoli plants. Into the soil, work rotten manure, blood meal or cottonseed meal before planting. Water with a fish emulsion or other organic fertilizers every 3-4 weeks during growing season. So now that you know these 5 broccoli growing tips, it’s time to roll up your sleeves and get to planting! 5 Broccoli Growing Tips for a Big Harvest was last modified: February 20th, 2018 by Aniela M.